One of my favourite Christmas presents this year was this book: Everything Oz, The Wizard Book Of Makes & Bakes. Ever eager to have a reason to try out new craft projects (though sometimes no reason is needed!) 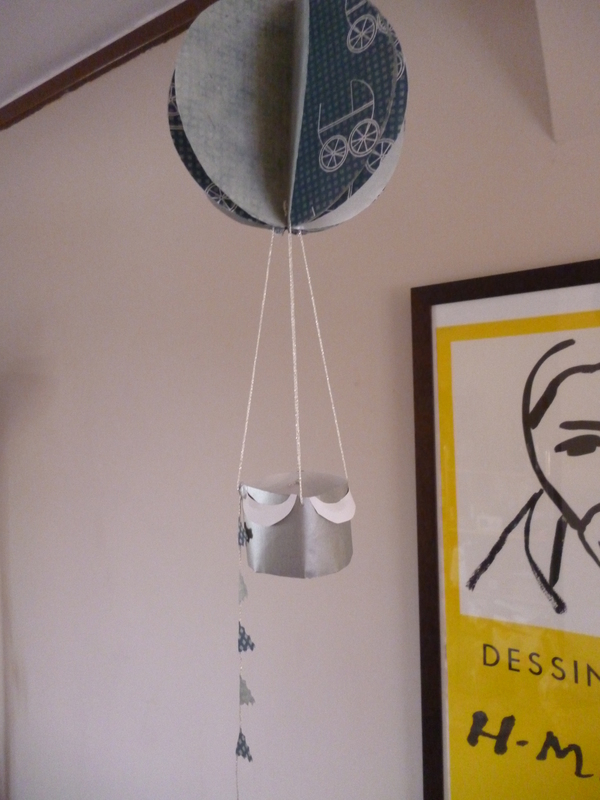 I chose the paper balloon mobile to make as a gift for my friend, who’s just had a baby boy. 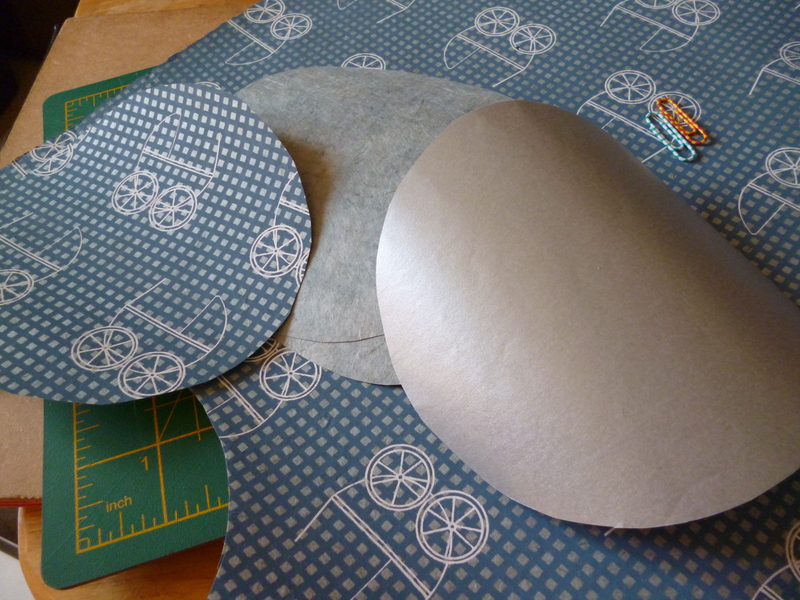 Armed with some adorable but subtle blue pram-printed paper from good old Paperchase, I set to work. I’ve decided that I’m not going to post a full tutorial on here, because I really think that if you like crafts then you’ll love this book- it’s a great investment. However, I’ve done little pictures of my progress, so you can get a good idea of how these are made. The base is a circle with tabs round the outside, which are attached to a long rectangular strip of paper (nice surface on the outside!). I did 4 of these, evenly spaced. Ish. Then on to the balloon! Using a variety of papers works well. I used blue printed, sometimes inside out, plus some plain silver. 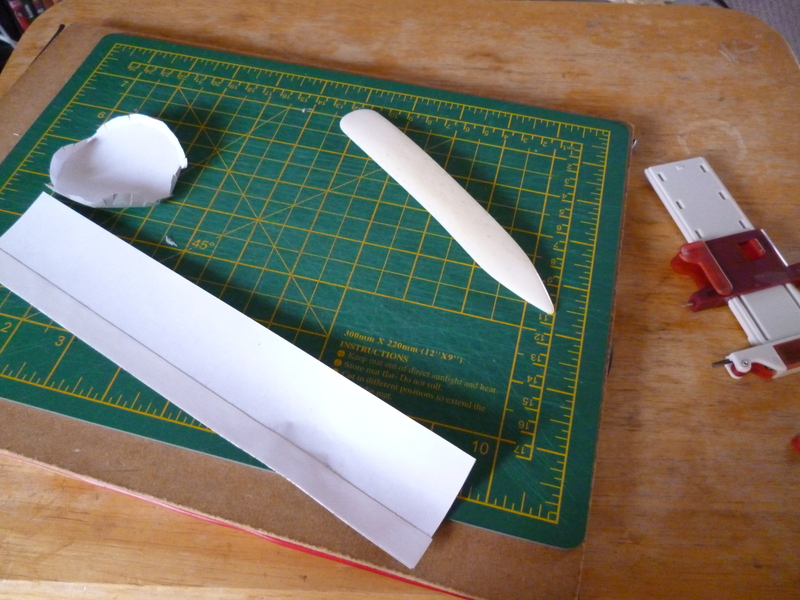 I adapted the balloon bit slightly, using the method from the paper beads I make. This entry was posted in Craft, Paper, Tutorial and tagged gift idea, Paper balloon mobile, Paper craft. Bookmark the permalink. Post a comment or leave a trackback: Trackback URL. I love it! The bunting is a genius touch. How long did it take to make the whole thing? Thanks! 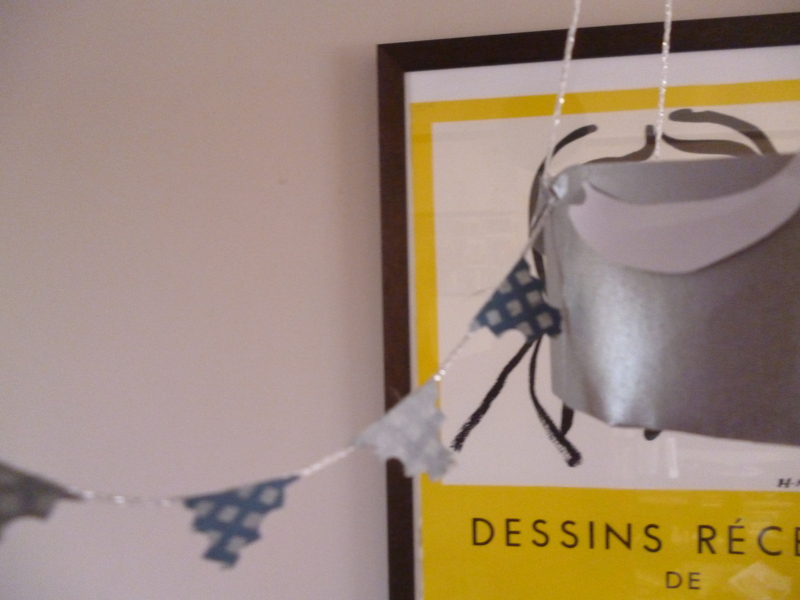 But I can’t really take credit for the bunting, it was was suggested in the book. It took about a morning to make?! An hour or two I guess, nothing that tricky but lots of waiting for glue to dry! Was super fun to make.